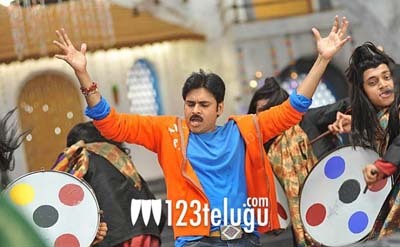 We have some exclusive news regarding Power Star Pawan Kalyan’s ‘Cameraman Ganga tho Rambabu’. The movie will be going for its censor certification tomorrow morning. The movie is gearing up for a release on October 18th and the censor certification will play a role in the movie’s overall business in overseas territories. Many fans are hoping for a U/A rating, but being a Puri Jagan film, we will never know until the official rating is out. Tamanna is the heroine in this movie and Mani Sharma has composed the music. Puri Jagan has directed the movie and as usual, has penned the dialogues as well. The movie has been produced by Danayya DVV. We will keep you updated with more news regarding the censor certification as and when it becomes available to us.